The iPad mini is a real thing. Whether it’s announced on September 12th or at some point in the future, it’s going to happen. That’s the conclusion that I’ve come to after numerous bits of information from sources, as well as information that has made its way to other bloggers that I trust. If we’re going to get a smaller iPad, though, I really wish it was going to be 16:9 vs. 4:3, like the current iPad. Other tablets, like the Nexus 7, have been using a narrower screen ratio for some time now, so I’m likely preaching to the choir for folks with those devices. I have a Nexus 7, and while I feel it’s the best Android tablet out there, that’s simply not going to be an option for many iOS device users. So, let’s talk about why 16:9 would be better for an iPad. First up, let’s talk logistics. The notion that the next iPhone will have a wider aspect-ration on its screen is not a matter of fact just yet, but it’s also something that I believe will happen. 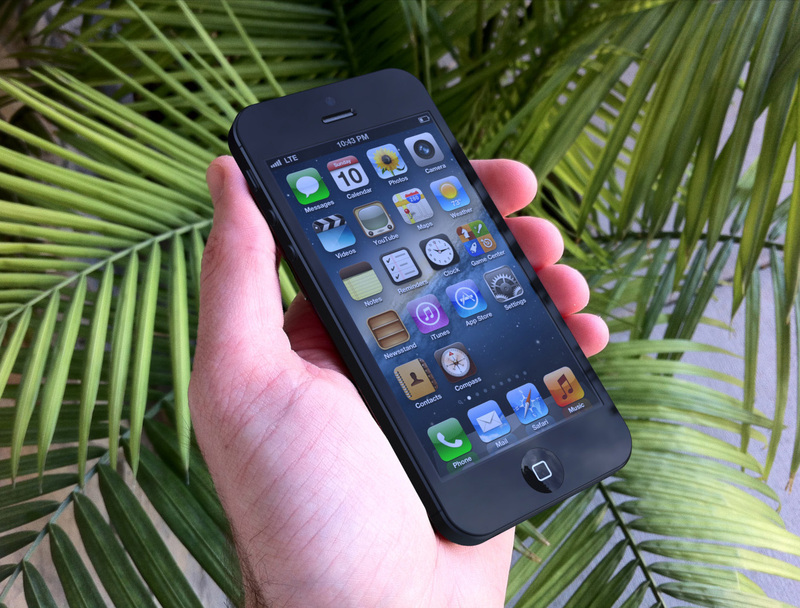 Many of the arguments about the how and why of a 4-inch iPhone apply directly to the way that a similar lengthening of the iPad’s screen could be accomplished. The current scuttlebutt has the iPad mini utilizing a 1024×768 screen at a 4:3 aspect ratio. This would enable it to use the panels that are still being used for the iPhone 3GS, just cut larger. This will minimize the manufacturing costs, allowing for aggressive pricing. It will also minimize the lead time that Apple needs to start manufacturing the devices at scale to get them out by Christmas. Many apps will scale to larger sizes on the iPhone automatically by lengthening their table views. Others will require some tweaking but a lot of them will work out of the gate and only small changes will need to be made to a lot of others. Only a small minority will need to be altered significantly. The same basic principles would apply to apps on a wider-screen iPad mini. Most apps would not need to be altered, although already awkward landscape views might need to be tweaked somewhat. Some apps would suffer from increased application bundle sizes, making for a larger download as their graphics increased in size, but many apps would not be affected. Most importantly, video and text content would need next-to-no alteration whatsoever. I was going to be subtle about the screenshots in this article and just lay them out there all casual-like. But, now that Seth Weintraub at 9to5Mac decided to spill the beans on what he’s heard, I’ll be more specific. 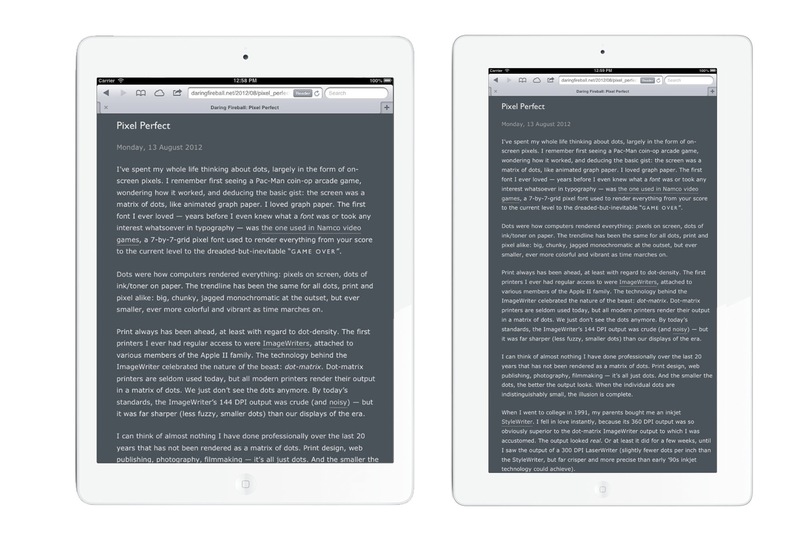 You’ll notice that the side bezels on the 4:3 iPad in the mockups below are thinner than the ones on the current iPad. That’s not an accident. The bezel sizes in the images below are based on what we believe the dimensions of an iPad mini featuring a 7.85″ screen to be, approximately. I’m not much of a mockup wizard, so you get what you get. A thinner bezel means that you can decrease the size of the device while increasing the size of the screen. Since there was no previous ‘mini’ model, there is nothing to compare it to. But, if you use the full-size iPad for comparison, you’re saving as much as a full inch trimming down the side bezels, versus mimicking the proportions of the larger tablet’s trim. This also fits well with Apple’s continuous move to minimize the size and weight of the device in order to fade it into the background, allowing the content to move forward. This move to make the iPad invisible is also why the iPad mini will be significantly lighter. You can’t really see it in the images below, but the bezel sizing we’re hearing would still be enough to rest a thumb on. A bit thicker than the mockups posted by Weintraub. I previously broke down how an iPad mini could be successful as a conduit for content. This role would take much more prominence than it did with the full-size iPad, which has been positioned as a family computer that is used for many things, both work and play. Just look at Apple’s iPad commercials, which feature movies and reading as components of a larger superset of activities you can use the tablet for. The iPad mini will be different. Yes, keynote presenters from Apple will likely tout the fact that it works with ‘all of Apple’s thousands of iPad apps’ and that will be a selling point in the early ads as well. But expect much of the advertising and promotion of an iPad mini to center around media consumption. The two primary types? Reading and watching movies. Watching movies on the iPad is sort of great. It’s wonderful in that the image quality and brightness of the iPad’s screen is fantastic. But it’s not so great in that most video content is presented at 16:9 or wider aspect-ratio. That means that you’re not getting a lot of video viewing area for the size of the screen. A 4:3 screen makes a lot of sense for a multi-tasking-focused device like the larger iPad. But for a media machine like an iPad mini, a narrower ratio is a better ratio. Check out the mockups below to see how much larger the percentage of viewing area is for movies. Not all video content is 16:9. the movie above, for instance, was shot in a narrower ratio by the director, or presented that way in the trailer. The fact is that movies are shot in a wide array of different aspects and there’s no way to present all of them perfectly. But a narrower display is normally better for watching movies, as it uses the screen more efficiently. Apple has finally settled its iTunes in the Cloud business with all of the major movie studios, and will likely continue working to make that experience better. In my research for that iPad mini article, I discovered that Apple has an absolutely massive advantage over the other major players like Amazon and Google when it comes to content deals. There is simply no comparison between Apple and the other guys. I don’t think that the deals will stop at purchase and rental either. For many years, Apple has been working to try to make accessing content easier for its users. The ultimate, when it comes to movies, would be a single-payment streaming service with access to a major portion of the iTunes catalog. Sounds like something that would also work great on a television, no? The other major activity that a smaller iPad would be used for is reading. Nearly every bit of content on the web and most of the books in the iBooks and Amazon Kindle libraries are formatted in vertical columns of text. 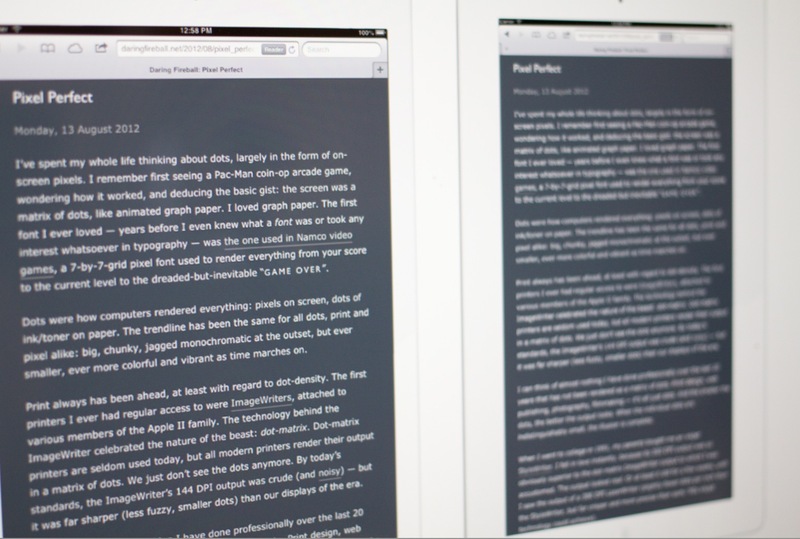 There is no comparison when it comes to reading on a 4:3 screen vs. a 16:9 screen. The reason for this is actually more complex than just ‘the screen is bigger’. Remember that digital content can be placed on the screen in any number of ways. The relative size of the content is mutable. This means that you don’t get appreciably more content on a 4:3 9.7″ iPad than you do on a 4:3 7.85″ iPad. It’s the aspect ratio of the screen, at the same pixel density, that allows you to display a longer column on a device that is exactly the same size. The longer screen wouldn’t have to change in resolution, it wouldn’t have to increase much in cost besides the additional raw material. It’s an extremely easy way to improve the content consumption experience on the iPad. And that’s why it’s on my wish list. As far as I know, Apple has narrowed down the iPad to a single prototype, the one that is rumored to be announced later this year. And all of the information that I’ve seen bandied about publicly is talking about the 165 ppi iPhone 3GS panel being reproduced at the 4:3 1024×768 size. So that may be what we get the first time around. But, for the reasons I outlined above, I really want to see a 16:9 iPad at some point and I think that it’s in user’s best interests as well.